Regardless of who your favorite Sherlock Holmes is, most fans will agree that “The Final Problem” is not your typical SH story. It’s more like watching a Jet Li action film than the methodical movements of an erudite detective. He’s on the run, he’s being chased, and he’s in deep trouble. Why? Who else…Moriarty. Here’s an excellent, sequential description of the story, complete with ratings, quotes, and visuals from sherlockhomes-fan.com, an excellent site. Check it out here. The real Holmes purists want nothing to do with Cumberbatch (or even Brett), they want the words exactly as Doyle wrote them. So you can find the book, “The Final Problem” here (paperback and Kindle). 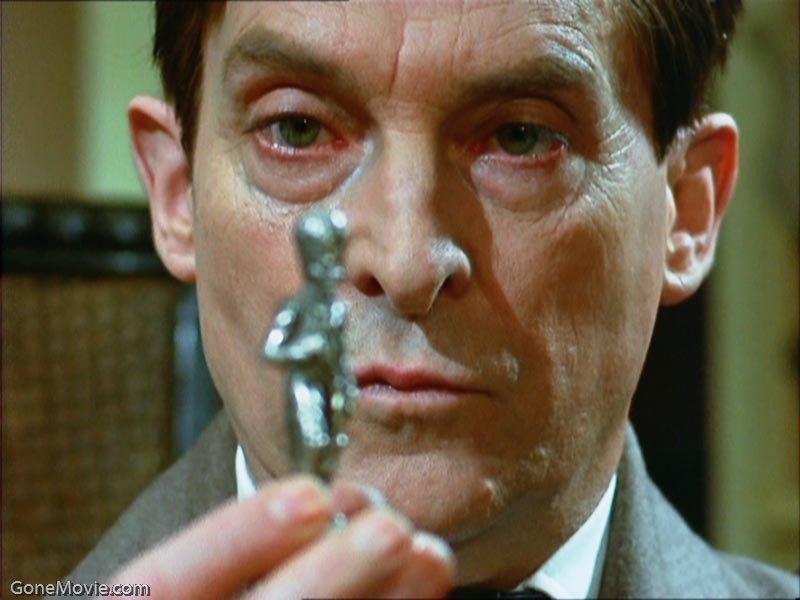 And, if you’re like me and can’t pass up one millisecond of Jeremy Brett, find the Granada episode (all 6 parts) here. But be warned – this is a deeply emotional episode, and not for the faint of heart. If you watch it, post a comment here and tell me what you think! 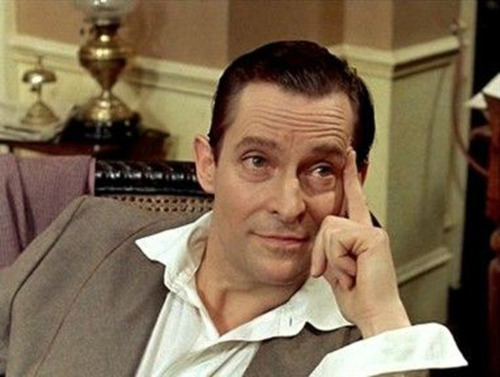 I couldn’t agree more with this fine and erudite Jeremy Brett tribute by William S. Kirby. 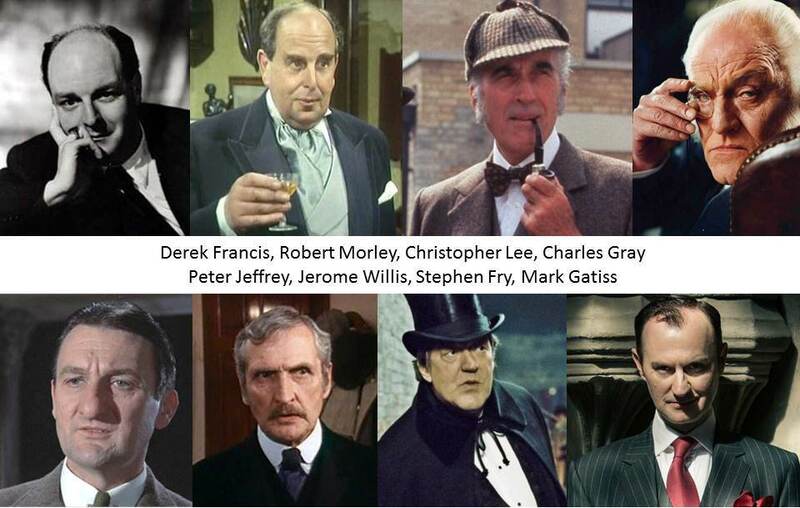 I would even take Kirby’s sentiments one step further by asserting that the difference between Brett and all the others is that ‘the others’ were actors portraying Holmes. 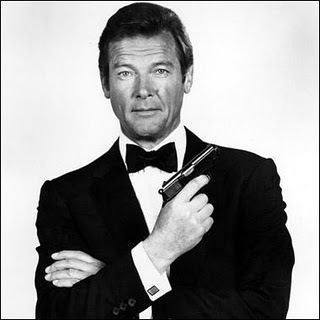 Brett very simply became Holmes himself, thus vanishing the silver line between acting and being. What’s the Deal With Mycroft? At the risk of exposing my penchant toward Granada, I’ll start with Charles Gray, whom I think gave more dimension (no pun intended) to the character than any other in the extensive list of Mycrofts through history. 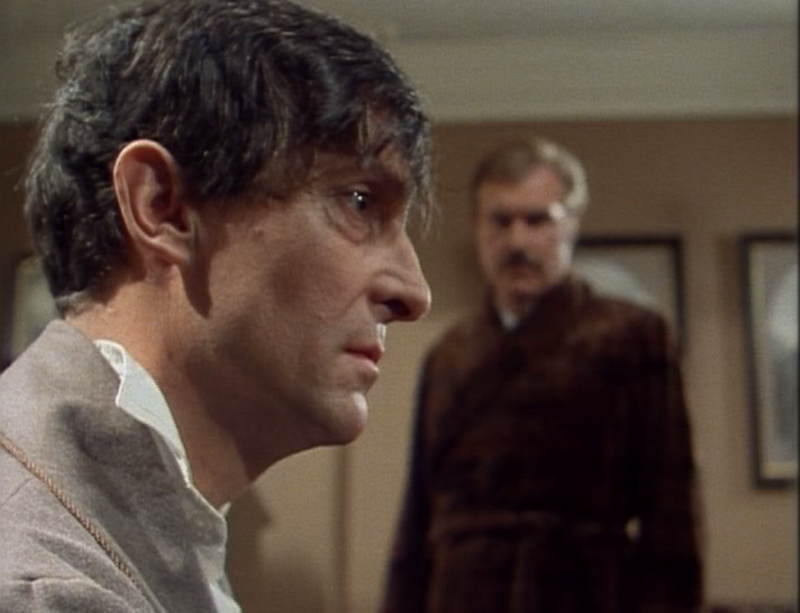 If you’re unfamiliar with Mycroft and his relationship with Sherlock, check out this 2-minute sample from “The Greek Interpreter” (starring Jeremy Brett as Holmes and David Burke as Watson), which illuminates the intellectual similarities between the two siblings. I have a thousand questions about Mycroft, and too few of them have been answered over the many years of my Holmes devotion. Why did Arthur Conan Doyle write so extensively, almost exhaustively, about Holmes and Watson with so very little about the elusive Mycroft? Did he imagine them growing up together, or else separated at birth and later reunited? Did they attend the same schools, study together, and otherwise care for each other in any typical brotherly ways? But most importantly, I hunger to know the reasons for Mycroft’s strange agoraphobia, his disdain for physical activity and perpetual retreats into the mute womb of London’s Diogenes Club despite his obvious fascination with human behavior. Mycroft naps and reads and observes with what Sherlock believes is the keenest mind he’s ever come across. Why were they not closer? 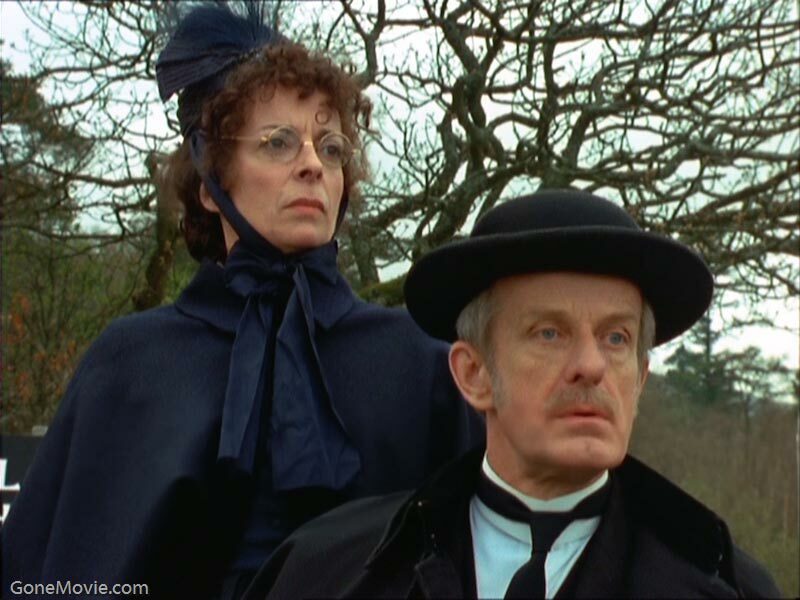 I’ve almost thought, in the Granada episodes, that Sherlock looked to Mycroft as more of a parent than a sibling, only consulting him on matters of the utmost urgency. In the more recent BBC “Sherlock” series, Mycroft (Mark Gatiss) and Holmes (Benedict Cumberbatch) don’t share the same affectionate regard as in earlier series’ and Mycroft dons a more shadowy X-Files’ish guise. This scene comically shows the obvious rivalry, tension, and competition between the opposing forces. For more reading on Mycroft, check out “The Confessions of Mycroft Holmes” by Marcel Theroux, published in 2001. 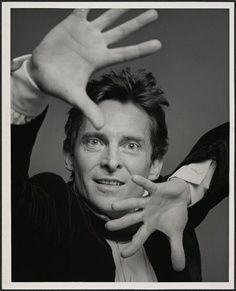 So, you know that Jeremy Brett biography that’s been tantalizing you for over a decade but you were never able to buy because a) it’s only had very limited availability in certain regions and b) the price is pretty much what you’d pay for a new bedroom set? Well fear not – it’s now available on Amazon for $9.99 via Kindle. 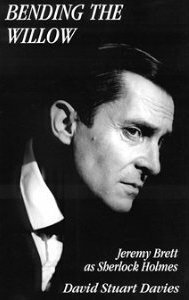 Bending the Willow: Jeremy Brett as Sherlock Holmes, written by Brett’s son, David Stuart Davies, has been hailed as a deeply personal and comprehensive psychological profile of a widely beloved and tortured genius. In Brett’s embodiment of Arthur Conan Doyle’s Sherlock Holmes, he both lost himself…and gave us everything. To learn more about the master Holmes, check out Bending the Willow and post your comments here to let others know what you thought about it. 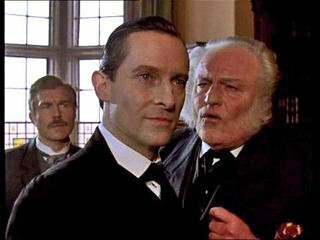 One of the finest stories by Arthur Conan Doyle and most masterful Holmes episodes in the Jeremy Brett Granada series is “The Norwood Builder” , where Holmes comes to the aid of John Hector McFarland, who is accused of murdering a wealthy builder named Jonas Oldacre. 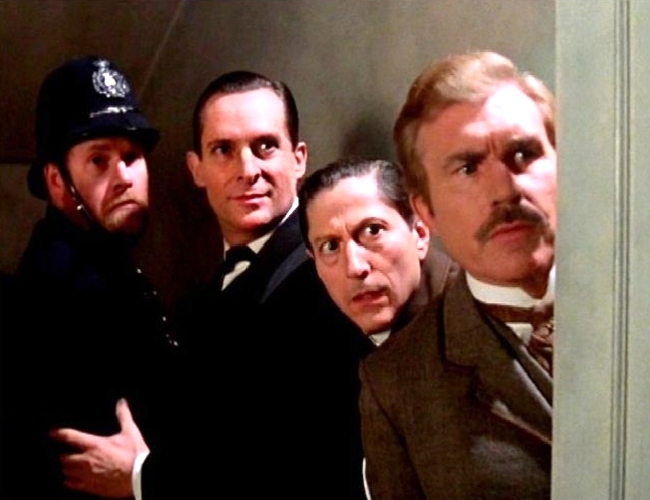 Through the course of his investigation, Holmes is relentlessly taunted by LeStrade, roadblocked by Oldacre’s housekeeper, and stunted by his own lack of mental clarity on the subject of Oldacre’s fate. Did he die in the fire, was he really murdered by McFarland, or did he disappear through some other means and if so, why? Brett, thinking there’s a connection between Oladacre’s story and a homeless man, uses his disguise genius to masquerade as a tramp to gain usable information. But the real magic appears when, in dire fear of losing the case and watching an innocent man hanged, Holmes kicks into gear and asks LeStrade for one final visit to Oldacre’s house. Amid protestations by everyone involved, he gains access one last time. 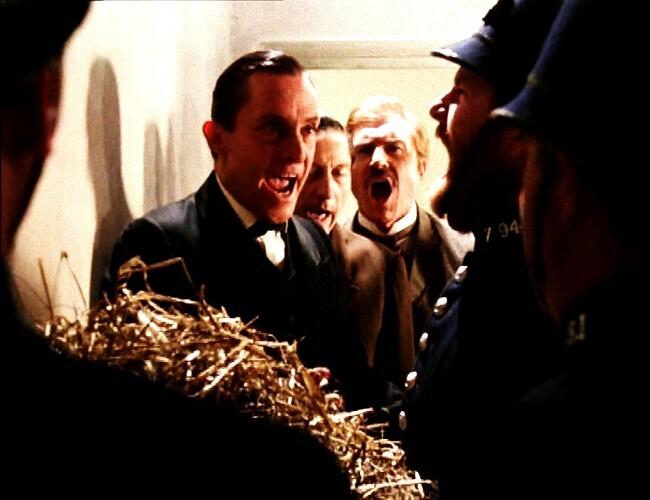 “Have you any objection if I…take a stroll upstairs?” he says to LeStrade. And under the sinister eye of Oldacre’s housekeeper, Holmes begins to survey the size of the rooms and, from there, discovers the untoward truth of Jonas Oldacre. If you haven’t yet seen this episode, I don’t want to give it ALL away. But suffice it to say that Holmes’ inexorable talent and intellect prevails once again. Excellent televised conversation with Jeremy Brett, which someone has kindly pointed out was likely filmed around 1988. Aside from some static in the visual stream, I love the actual interview – such a humble perspective from an absolute Legend! George Orwell’s insightful allegory Animal Farm is packed with tidbits of useful wisdom. All pigs are equal. Some pigs are more equal than others. Would it be safe to say that literature of that period (1945) too liberally used the metaphoric device to translate the world as it was back then? I was thirty before I realized that The Chronicles of Narnia was secretly about The Bible. 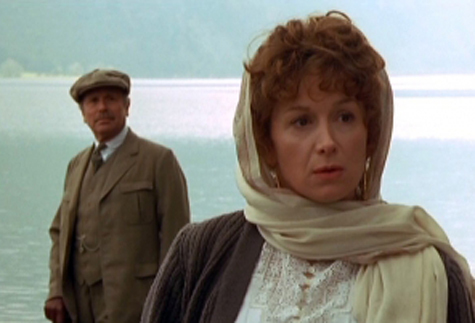 I find myself considering four vs. two legs while watching one of my favorite Holmes stories, The Disappearance of Lady Frances Carfax, one of the handful where Watson was forced to act alone with Holmes back in London attending to more pressing matters. Watson came across a striking, red-haired woman in possession of a confidence and independence unbecoming of women from that era. She sailed in a self-operated skiff across the lake to church. She chose to eat alone, walk alone, and move to the beat of her own mystifying drum. Her vigorous suitor, Philip Green, wanting nothing more than her hand in marriage, stayed close, watching, stalking, observing from a fine Morgan horse in the hills above the Englischer Hof in Baden, Germany where she was staying. Unsurprisingly, Watson was unable to see the truth of the situation, being blinded by his feelings of protectiveness for the intrepid damsel. Yet Holmes, even from five hundred miles away, was able to pierce through Watson’s cloudy accounts to deduce that Frances along with her jewels was a target of a sinister plot by posing clergyman, Shlessinger. Why, as I constantly ask myself, was Holmes so typically able to see what others could not? Were his eyes healthier? Doubtful, as he rarely either ate or slept, let alone attended to deeper bodily needs. Did he move slower, allowing him a deeper look into details? Like a telescope, we can tune our eyes and minds and senses to focus on different things. While studying these stories, via book form or the renowned Granada DVDs, I am reminded again and again of the power of the human mind and how underutilized it is. Holmes, in his almost insane preoccupation with minute details, could be simultaneously myopic and hyperopic – a talent that gave him an almost superhuman perception of underlying motivations. 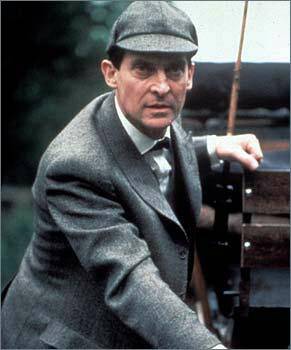 As Roger Moore is the only real James Bond, Jeremy Brett was not only the best but the only true and authentic Sherlock Holmes. I reach this assertion not as a purely subjective interpretation of the many facets of the character in our civilization but after extensive research into Conan Doyle’s original character and his many characteristics. Basil Rathbone looked the part, certainly, with the signature thin-boned face and deep set eyes but, alas, that generation of Holmes was too light and witty – almost comedic. 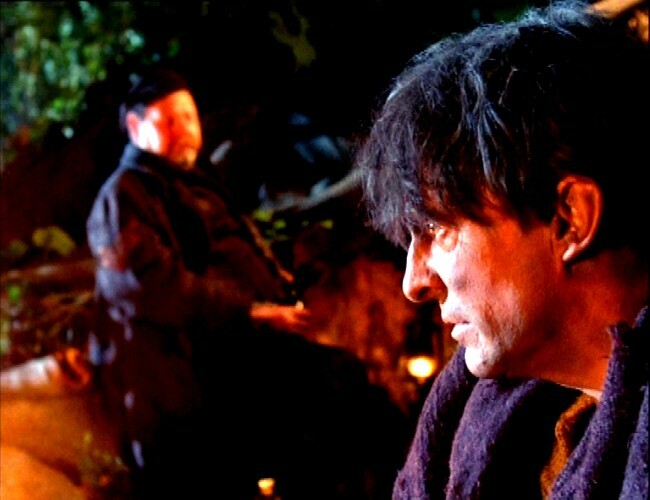 Brett, bless his soul, was not only an actor’s actor but possessed the haunted darkness of a long-tormeted man – restless spirit, deviant preoccupations, lack of comfort in comforting things such as food, drink and companionship. His only friends were his longheld cocaine addiction, a poorly-tuned violin, and a morose proclivity for abnormal psychology. And, of course, his trusted dear Watson. 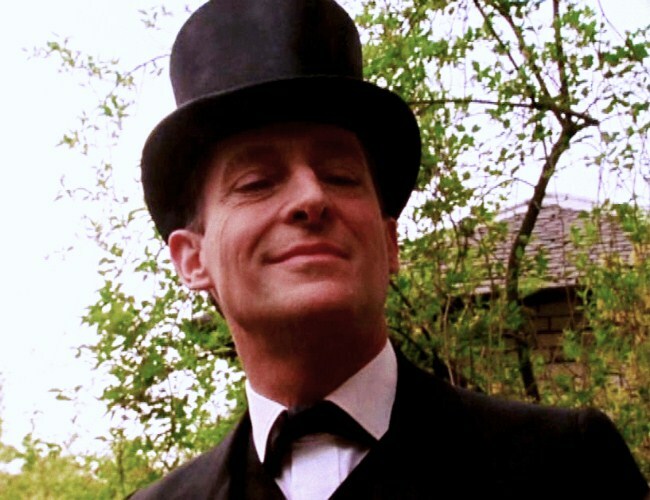 It is my contention that Jeremy Brett is what Sir Arthur Conan Doyle intended of the character – thus the reason for his sole presence in this forum. Tinley’s teacake aside, he is correct, I quickly deduce from the absence of sound behind the heavy wooden door. I take stock in our only two objects of hope – my aged but impeccably clean-barreled revolver and the blade I know my friend Holmes keeps in a secret pocket in the front of his leather boot. Barely moving, I slide my right hand upward to gauge Holmes’ pulse – theady at best. Alright then, we shall propagate a good old-fashioned bluff! “Water,” begs Holmes before my hand slaps over his moving lips. “That’s it!” I exclaim, recalling in that moment the newspaper boy perched on the opposite side of Baker St. this morning, hobbling on one leg. From our present location in the building diagonally across from our own well-respected rooms, I could garner his attention by tossing a note out the window. Careful where I apply my weight upon the creaky floor, I reach slowly into the tuck of my trouser pocket to retrieve my notebook and pencil, scribble two words upon the crinkled page and beg the powers above us to conceal the sound of tearing parchment. I calmly rise and take one step to the window, raise it with one hand and peer to find the hobbled boy actually meeting my gaze. With an index finger to my lips, I toss the paper to him and wave a hand to signal haste. After seeing the words on my note and the quid in the center, he runs as quickly as his mal-formed legs will take him. “I’ll bet you two rounds he’s dead as a…” and as the door to our hideout creaked open, I pulled Holmes’ upper body over my left shoulder and reached under him with my right hand…and fired. One of them shot back, but the round ricocheted against the door’s edge, redirecting the bullet into the west wall. Holmes and I tumbled clumsily out the first story window into a hedge of Juniper, met by the comforting two-toned siren of Scotland Yard.